Ready for a Birthday Adventure? 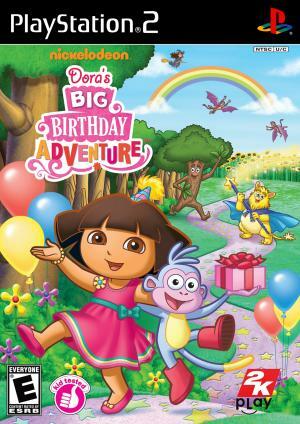 Everyone is coming for Dora’s big birthday fiesta ...but where is the birthday girl? Dora and Boots are trapped in Wizzle World! They need your help to find the Wishing Crystal and get home. Magically ride on a unicorn, explore the tree troops as Boots, and float over Sea Snake Lake in a giant bubble! Just watch out for La Bruja! Happy Birthday, Dora! ¡Feliz Cumpleanos, Dora!